You know that Rick Snyder has signed into a law a bill that raises the costs of administering our state’s Medicaid program by adding unnecessary new burdens on the 675,000 Michiganders on our Healthy Michigan Plan that will uninsure tens of thousands and raise health care costs for those of us lucky enough to remain to keep our coverage. What do conservatives get in exchange for these new burdens on taxpayers? A chance to punish the poor. Well, here’s your chance to speak out against these cruel attacks on our most vulnerable neighbors. 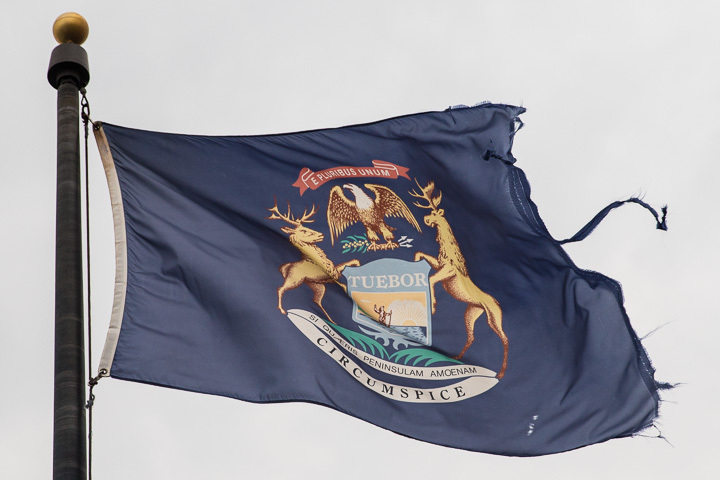 You can share “your personal story or just say you disagree with work requirements in order to receive health insurance and how this is harmful to thousands of Michigan families” by filling out this quick little form here. July 31st from 2-3pm at the Michigan Library and Historical Center- 702 W. Kalamazoo Street. Lansing, MI. It’s difficult to summon the words to describe how unnecessarily cruel this bill is. Even if Michigan workers meet the new work requirements, they still may not be able to get coverage because Michigan Republicans want to charge some of Michigan’s Medicaid recipients the highest premiums in the history of the program. About half of Michigan’s low-wage works 62 or under are likely not to hit the 20-hour requirement at least once a year, the Center on Budget and Policy Priorities finds. Workers over 50, people who are medically frail or have disabilities and people who work seasonal or irregular jobs will most burdened, when they should be the neighbors we look out for most. If you’ve ever been to Michigan, you may have noticed that seasonal work is actually a thing here. The costs for taxpayers of this boondoggle is projected to be $10 million but it could be so much worse than that, as we learned when Kentucky tried to implement similar requirements on its expanded Medicaid program. “In its biennial budget, Kentucky’s Medicaid administration costs increased more than 40%, or $35 million, from prior biennium to $116 million, which Fitch partially attributes to implementing Medicaid work requirements,” Eric Kim, the lead analyst for Fitch on the report, “Medicaid Waiver Actions Limit U.S. States’ Cost Controls,” wrote. Kentucky’s program is less than one-third the size of Michigan’s. “A court stopped Kentucky from doing the same thing because people spoke out and made the arguments very clear,” tweeted Andy Slavitt, who oversaw more than 20 million Americans gaining health insurance coverage while leading the Centers for Medicare and Medicaid under president Obama. With your help, we can do the same in Michigan.